Sometimes, a woman cannot conceive because she ovulates before she gets to mikveh each month. Sometimes, a woman cannot conceive because she ovulates before she gets to mikveh each month. This situation, in which a couple are not permitted to have marital relations long enough before ovulation for pregnancy to occur, is called halachic infertility. A fertility problem unique to women who observe the laws of niddah is ovulation prior to immersing in the mikveh. From a medical perspective, a woman who ovulates regularly prior to day 12 of her menstrual cycle does not have a fertility problem. But, since Jewish law requires her to delay relations until after this point, she will have difficulty conceiving. 1) She can measure her temperature upon arising every morning (the "basal body temperature"). There is generally a rise of about 0.3 degrees Centigrade (0.5 degrees Fahrenheit) just prior to ovulation. This method can be cumbersome for women who wake at irregular times, and body temperature can be affected by other factors, such as illness. Therefore, other methods are more popular today. 2) She can use an "ovulation prediction test," which measures the surge in lutenizing hormone (LH) that precedes ovulation by 12-24 hours. These kits are readily available in pharmacies without a prescription, and may be used in the privacy of one's home. Further halachic and medical strategies for treating halachic infertility are discussed below. It should be noted that as women get older, generally in the mid-thirties, cycle length tends to shorten. Halachic infertility is thus more common in older women, and may develop in those who previously had no problems conceiving. If a woman cannot conceive because she ovulates before she may immerse in the mikveh, a rabbi should be consulted. There are several halachic and medical approaches to treating halachic infertility. In Ashkenazic communities, and in some Sephardic communities, a woman may not ordinarily begin counting her seven blood-free days until at least five days have elapsed since she became niddah, so that the earliest she may immerse is the night following day 12. 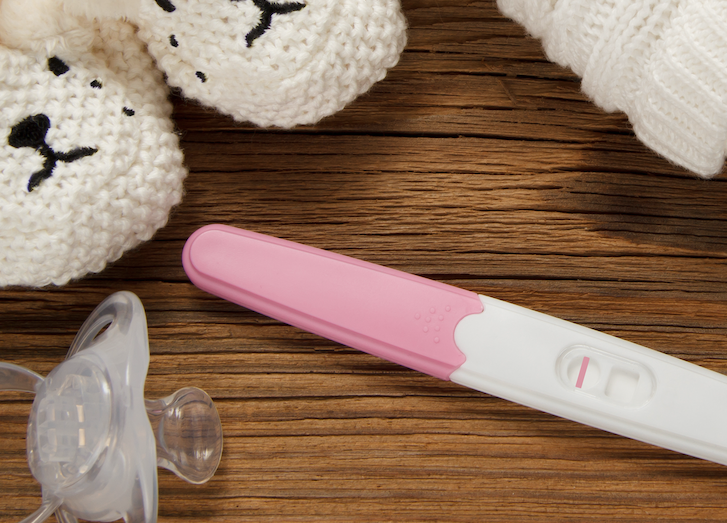 But, in cases of halachic infertility, under certain conditions a rabbi may permit shortening the five-day minimum to four days in order to allow immersion on the night following day 11. For women who ovulate earlier than this, there are sometimes other halachic solutions. There are a number of medical treatments that can delay ovulation. One common treatment is clomiphene citrate (known under the trade names of Clomid, Serephene, or Ikaclomin). This drug is normally used in fertility treatment to induce ovulation, but it is helpful in this case, because it has the side effect of delaying ovulation. Another approach is to use estrogen at the beginning of the cyle to delay ovulation by a few days. Other hormonal manipulation can delay ovulation as well. All these medications require a prescription, and must be used under the supervision of a physician. If the physician is not accustomed to dealing with this problem, a yoetzet can be consulted to assist in explaining the issues to him or her. If the standard medical treatments fail or are unsuitable, there are other possible ways to intervene, but these should be developed by a medical team working together with a rabbi experienced in this area. This article presents a brief overview of the halachic and medical principles relevant to the treatment of halachic infertility. Both halacha and medicine are case-based, and treatments and rulings reflect the nuances of each individual situation. 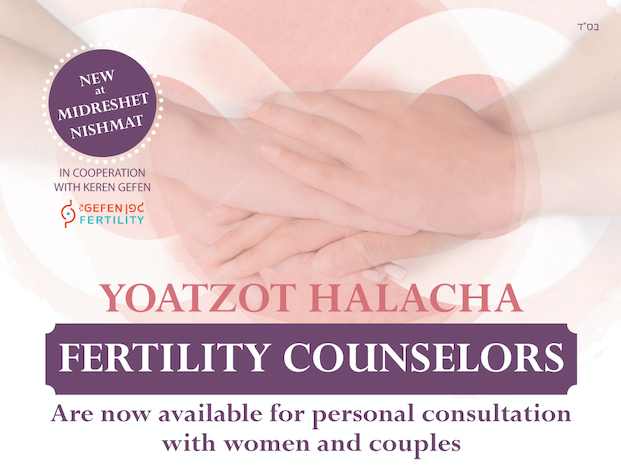 Therefore, in practice, we strongly recommend that every couple affected by halachic infertility consult directly with a rabbi and a physician who have expertise in this field.